Playing on home turf, Old Trafford, United appeared to attack from the start. Attack of the Red Devils resulted in 12 chances in the first half, while Stoke only created five chances. Although of the performance of MU is still inconsistent in this season, but Manchester United successfully won a big victory in this fight. The Red Devils reached a 3-0 victory over Stoke City through goals Jesse Lingard, Anthony Martial and Wayne Rooney. United started the game with confidence, they've controlled the game from the beginning. Stoke opted the strategy of wait and see, while they were predicting the style and strategy the game host that is played in this match. The United's first chance has come via Wayne Rooney's attack which was born on the 5th minute. The captain kick came from outside the penalty box after he played a successful gimmick to trick the defender, but the ball was still caught goalkeeper James Butland and kept it well. In the 13th minute, publicly Old Trafford rumbled after Jesse Lingard scored the opening goal for United. In a standing position at the mouth of the goal, the 23-year-old player headed the cross ball of Borthwick-Jackson. Red Devils need to wait until the 23rd minute to double the lead. The striker was carried off from AS Monaco with a tag of 36 million pounds, Anthony Martial, conquered Butland through a stomach shot lodged in the left side of goal for the visitors. The Martial's goal was the last goal in the first half. Manchester United was bagging a 2-0 advantage in the end of the first half time. In the second half, precisely the 52nd minute, the coffers scored of United grew. 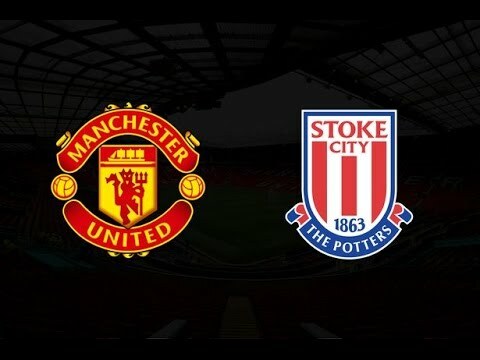 By starting operand Juan Mata in the penalty box, Martial released the horizontal feed to the mouth of the goal Stoke were then resolved by Rooney's flicking. United was choose to more survive after a 3-0 lead. Until the referee blew the whistle ending the game, no additional goals are created. With this result, Manchester United remains at the top five of the standings with a collection of 40 points. Meanwhile, Stoke perched in ninth with 33 points. Manchester United sticks to the fifth place. Because of Louis van Gaal's troops collecting 40 points, so they should not lose any more points on the matches ahead in the pursuit of the next Champions League at the season later. Meanwhile Tottenham Hotspur a 3-0 win over host Norwich City thanks to the opening goal from Dele Alli, before Harry Kane added two goals. The result made Tottenham Hotspur up to third, shifting Arsenal with the only score 0-0 draw against Southampton. Tottenham collects a total of 45 points, on goal difference ahead of the Gunners.